Tell me about your hobbies. Not the hobbies you do once a year so you can list them on your Tinder profile—what hobbies do you actually do? If you’re like most people, your answer is probably, "Does Netflix count as a hobby?" Sure, you probably love to ski, hike, and perform stand-up at your local open mic, but you just don’t have the time to do them very often. As adults, it can be hard to justify hours away from our busy (and often underfunded) lives to devote time and money to learning something new—especially when that something is crafting model airplanes or knitting scarves for your dog. As frivolous as hobbies may seem, participating in leisure activities can actually make you happier, more productive, and a flat-out more interesting person. And if you suffer from anxiety or depression, hopping on the hobby train may be the next best thing to frequenting a therapist’s couch. Stepfanie Romine has recommended hobbies to multiple clients as a way to cope with anxiety and depression. Romine’s been a coach for over four years, was the editorial director for a major health website for six years, and has authored numerous books about healthy living. So when she says something will help your health, you should probably pay attention. Romine once had a client who was struggling with her weight. Though the client was trying to be healthy, she started to obsessively dwell on weight loss. She became anxious and depressed, and her constant obsession with her body didn’t make weight loss any easier. So Romine encouraged her to find a new hobby. Once her client started learning a new skill, her anxiety started to calm. "By focusing on things she found joy in, she had less time to focus on her body," Romine says. "It ultimately helped her find the balance with her weight and life that she’d been fighting to find." To be clear, Romine insists that if you have serious issues with depression, anxiety, or any other mental health issue, you should seek the help of a professional. But if your experiences are mild or you’d like to actively manage your mental health through a hobby in addition to talking to a professional, hobbies can be surprisingly beneficial. Participation in pleasurable leisure activities affects not only your mind but also your body. In a study published in Psychosomatic Medicine, those who participated in more leisure activities (such as social outings, sports, and hobbies) had lower blood sugar and stress hormones, and tended to have low BMIs and smaller waists. Based on that study, I just might start a "Knit Yourself Thin" program. Don’t judge me. Hobbies affect more than your blood pressure and waist circumference. They can lead to an "upward spiral of increased well-being." A study from the University of Otago in New Zealand found that students who participated in a creative task felt a greater sense of positive personal growth and excitement—basically, they’d do something creative one day and feel more content and enthusiastic the next. Creativity had a significant emotional impact and always a positive one. We don’t really need a ton of studies to see this is true. You probably know from your own life that whenever you learn a new skill or do something fun, you feel mentally and physically better, and the effects are lasting. But for most of us, feeling good isn’t the priority. Working is. "We’re so focused on productivity and moving up in our careers that hobbies take a backseat," says Jen Billock, a career coach. Though Billock regularly knits, crochets, and learns new languages, even she has to remind herself that it’s OK to do something fun. Self-questioning thoughts like, "Why am I doing this when I could be working?" might run through her head from time to time, but she shuts down that voice and goes back to her hobbies. Though that impulse can feel selfish, or even lazy, hobbies are a wonderful way to exercise your brain, Billock says. Activities such as knitting, painting, or jogging force your brain to function differently than it usually does, which can enhance your creativity and focus. If you’re especially worried taking time for a hobby will hurt your work, take a look at this study published in the Journal of Occupational and Organizational Psychology. First of all, I know you’re breezing through that journal all the time, so you probably already know what I’m talking about. But just in case you missed a month, this study demonstrated that doing creative and meditative activities lead to better performance at work. So go ahead and start finger painting at your desk. Just tell your boss it’s because you want to be a better employee. After reading about all these benefits, I’m sure you’re dying to start a new hobby. But should you pick up cross-stitching or learn the fine art of archery? Instead of going down a Google wormhole, here are the most recommended hobbies—and explanations as to why they top the list. Why knitting or crochet? Because all the cool kids are doing it! And by cool kids, I mean Billock, Romine, and me. Though both Billock and Romine recommend yarn-based hobbies, Romine says knitting and crochet are especially good for overcoming bad habits. Many bad habits, like smoking or eating junk food, tend to involve repetitive motions. A lot of people who try to quit smoking miss the physical action of putting the cigarette to their lips. 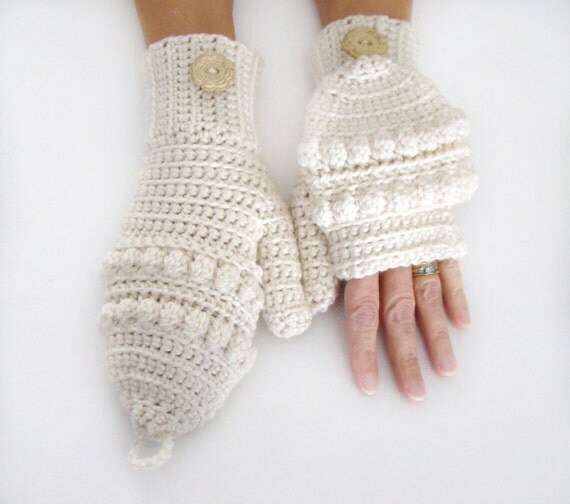 So when you busy your hands with knitting, you’re fulfilling that craving to "do something with your hands," Romine says. Romine found her clients were much more successful in breaking habits when they had something to replace the habit with. And since knitting and crochet keep your mind and hands busy, they work incredibly well. So I learned how to knit from YouTube and found the process of physically creating something incredibly fulfilling. Instead of putting tons of work into an audition that led to nothing, I could put in hours of work and be rewarded with a lovely pair of convertible mittens. I felt accomplished and much less stressed. If you aren’t interested in knitting or crochet, you could try cross-stitch, puzzles, or model building. Anything that takes a little hand-eye coordination does the trick. Fun fact: Knitting uses two needles (sometimes four, but that’s getting advanced) and crochet uses just one hook. I used to get asked on the subway all the time whether I was knitting or crocheting, so now you won’t have to ask a stranger that same question on your next commute. If you’d like something more active than chair-based yarn arts, try gardening. Romine recommends this hobby to induce a parasympathetic state. The parasympathetic system is responsible for slowing your heart rate, increasing digestion, and generally helping you relax. The meditative nature of gardening helps enable the parasympathetic system to take over, which reduces your overall stress, Romine says. "Active hobbies release endorphins," says Romine. So any sport or physical activity will get more happiness hormones flowing through your body. Though any sport would work, basketball might be your best bet for several reasons. First, basketball is social. Sure, you can go to the gym or go running, but most of the time you’re doing that by yourself. In the social media age, most of us have lots of lonely times and are craving some real, social interaction. Basketball is perfect. You get to work together, meet new people, and get that sweet endorphin rush. Second, basketball is cheap. Though you might prefer to go skiing, sailing, or golfing every weekend, those sports can add up quickly. But basketball? You pretty much just need a ball. Sometimes you don’t even need that! Half the time, you can show up to a park and just start playing. And if you’re not exactly in the mood to hang with a bunch of teenagers in the park, you still have affordable options, like joining a basketball league. There are teams all across the country, and they tend to cost somewhere around $85 per quarter. That might sound like a lot, but it’s cheaper than most gym memberships (and is definitely cheaper than a trip to the slopes). Plus, having a team will help you stick to your new hobby. It’s easy to skip a day at the gym, but it’s a lot harder to let a whole team down by being a no-show. Both Romine and Billock actively learn new languages as a hobby. Romine admits she does French verb conjugation drills when she wants to do something stimulating. That fact alone proves she’s smarter and more motivated than I’ll ever be. Even if you don’t want to spend your spare time drilling être, learning a new language can be incredibly beneficial. Romine says that even just dabbling, not aiming for fluency at all, can lower your chances of dementia and Alzheimer’s. Opening your mind to a new language helps increase your neuroplasticity or your brain’s ability to learn and change. Simply picking up a few flashcards now and again is a wonderful workout for your mind. Start with an app like Duolingo. It features tons of languages and makes learning feel like a game. Plus, you get all kinds of fun phrases. You can finally learn how to say, "We do not choose who we love," in Norwegian! It’s OK if this stuff doesn’t come naturally to you. Before you jump into your new hobby of choice, Romine advises keeping a beginner’s mindset. You will be learning a new skill, and that’s not always easy. In fact, I found knitting incredibly frustrating as I learned the basic techniques. But after I got through that initial phase, I relaxed and enjoyed the slow, repetitive craft. By not giving up, I got to appreciate knitting’s meditative qualities. Still, it’s irritating to not be good at something right away. To get through that annoyance, remember you’re just a beginner and there’s no rush to learn. Get excited that you’re mastering a new skill. Feel good that you completed even the smallest part of a new task. This mindset will get you through the toughest learning stage of a new hobby, according to Romine. After you get through the basics, the hobby will become a much-needed break from your busy life. And if you realize you truly hate a certain hobby? Let it go. You want to find something that makes you happy and gets you on a positive track. Make time for your hobbies. Seriously—write them into your calendar. They make you a more well-rounded person and can help keep depression and anxiety at bay. Whether you start painting, playing hockey, or making the Ghostbuster’s firehouse out of Legos, you will feel better and give your busy mind a break. So close your laptop, put away your phone, and get busy on that Princess Leia cross-stitch you’ve been dying to do.